What is an intercessor and in what way is Jesus the only intercessor to God? Q: What is an intercessor and in what way is Jesus the only intercessor to God? A: By virtue of our baptism, as adopted children of God and members of the royal priesthood of believers … all of which is possible only through the finished work of Jesus Christ, the one mediator between God and man … we Christians have the right to pray directly to the Father, the Son, and the Holy Spirit … any time we please. But for many and various reasons, most significantly, our own personal, grevious sins and our fallen human nature, we can often benefit from some “qualified assistance” in that regard. The biblical concept of “Kinsman Redeemer” holds that all of us are related through Adam, and that any one of us who is able, has a God-given right and even the responsibility to “step in” or intercede, for any of our less fortunate relatives or “kin”. 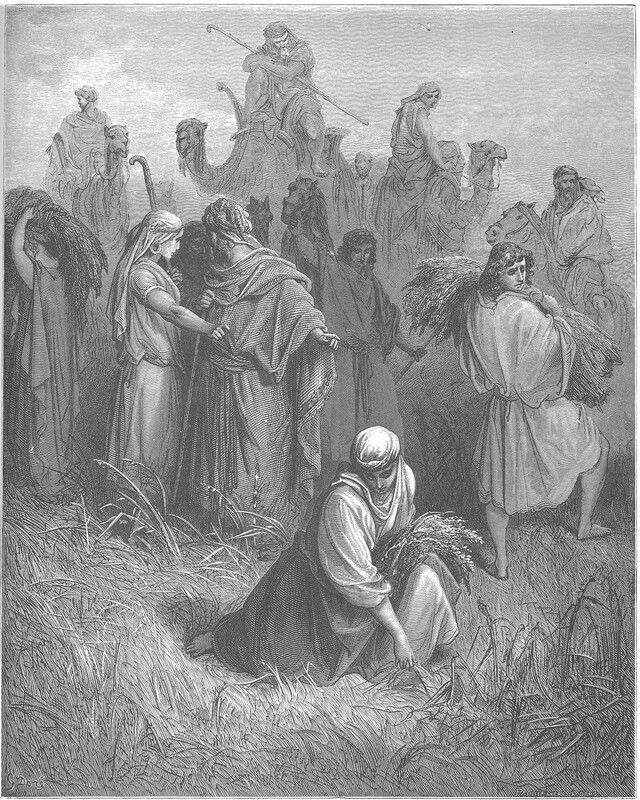 Abraham (Abram) was indeed the first biblical “type” of this when he rescued his nephew Lot from the kings of Sodom, and received a blessing from Melchizedek, as a result. 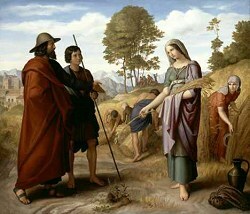 Probably the most cited biblical example of this concept is Boaz, who acted as kinsman redeemer for Ruth, who serves as the originator of the Davidic blood line, which of course applies most essentially to Jesus Christ, who by virtue of his incarnation, became the Messiah, who is the ultimate “Kinsman Redeemer” of the entire human race. There are potentially many others, since this principle would certainly apply to all, according to God’s very own timeless law of love. And while Jesus remains the one mediator between God and man, anyone who is in God’s favor (particularly, faithful Church members) especially those who are already perfected in Heaven (Mary, the Saints, the Angels) has the right (and yes, even the duty) to intercede for anyone on earth (or in Purgatory) who might need or request it. This would typically be accomplished by humbly approaching the throne of Jesus Christ with one’s request, which is certainly permitted, since Jesus remains not only the one mediator, but also (among many other wonderful things) our High Priest, our brother, our King, and our God. Catholics on earth do this through the Holy Sacrifice of the Mass (making excellent use of the ministerial priesthood, and of Melchizedek’s “original” bread and wine) where Jesus graciously serves in all these ways (24/7 and 365, all around the world) … and through all the other work, worship, sacraments and devotions of the Church … whose continuing mission is the salvation of souls. The Book of Revelation describes the Heavenly version of this most sacred liturgy, where the prayers of the saints are never disregarded, since Heaven poses no barrier at all to God’s great and continuing work of redemption. Why do some ex-Catholics say that Catholics worship Mary and the Saints? Q: Why do some ex-Catholics and Protestants say that Catholics worship Mary and the Saints? A: The biblical concept of “kinsman redeemer” gives any blood relative the right to intercede on behalf of one of their own. Jesus is the primary kinsman redeemer. He became a man so he would qualify, as we are all related through Adam. Other than Jesus, anyone else who is rich and powerful enough to do so, may also intercede. The saints in Heaven are most certainly co-heirs with Jesus Christ, and the inheritance of the saints includes both power and authority. This is why Catholics quite rightly understand that there is absolutely nothing wrong with looking to Mary and the saints for help, since all that they might be able to do for us is wholly dependent on Jesus Christ. And while Jesus is indeed the only mediator between God and man, there is absolutely no prohibition against the saints interceding for us with Jesus. In fact, according to the Bible, the role of the Queen Mother is to be the official intercessor with the King, for the people. Protestants should understand the concept of kinsman redeemer well, since it is the subject of many Protestant Bible studies on the Book of Ruth. The only reason many of them fail to make the obvious connection to Mary and the saints is their ignorance, and their deliberate, anti-Catholic bigotry. 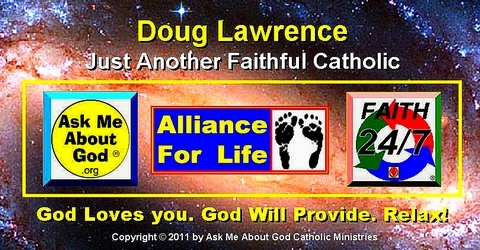 Catholics: Could I ask you a few questions about your denomination that I find confusing? Q: Catholics: Could I ask you a few questions about your denomination that I find confusing? * Why do you pray to the Mother Mary and Saints? From my readings of the Bible, it doesn’t say anywhere to do this. The only way to God is through His son, not his mother or saints. * Why do you go to confession? Only God can forgive us for our sins, not a priest. So if you pray and ask God for forgiveness, what is the purpose of confession? * Why are priests and nuns forbidden to marry? This is not mentioned in the Bible. A: First of all, Catholicism is not a denomination. Catholicism is the one, true Church, that was founded, authorized, empowered, and eternally guaranteed by Jesus Christ, for the purpose of our salvation. Catholicism is not based solely on the Bible. It is based on the revelations of Jesus Christ and the Holy Spirit, on the teachings of the apostles, and on the continuing guidance of the Holy Spirit, who is the constant advocate of the Church and the arbiter of all divine truth, along with Jesus Christ, who is the head of the Catholic Church, and who remains at the very center of all Catholic worship. 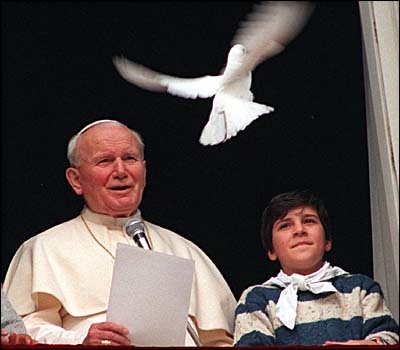 The Bible was the Catholic Church’s idea … an idea that was inspired and guided by the Holy Spirit. The Bible was not absolutely essential to the Church, since the Church did just fine without a Bible, for some 400 years. Based on this, it is clear that the Bible follows the teachings and practices of the Catholic Church. Anyone who doesn’t understand this has things bass-ackwards. Prayer is the ordinary means of communication with our loved ones who are in Heaven, as facilitated by the Holy Spirit. Prayer is certainly related to, but distinctly different than worship, which is given to God alone. Jesus promised that all who are invited into Heaven will share in his glory, and will receive, among other things, power and authority. 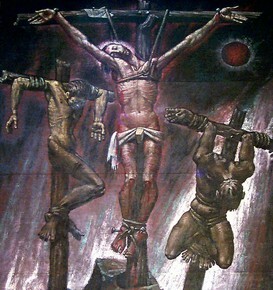 Catholics believe that it is acceptable to God, and quite appropriate for those in Heaven to assist their “kin folk” still alive here on earth, in obtaining salvation … since the right of kinsman to intercede for their own extended family is clearly stated in the Bible, and that same right is closely intertwined with the way our redemption in Jesus Christ was actually obtained. Heaven does not pose a barrier to the ongoing work of our salvation in Christ. The first thing the risen Jesus did was give his apostles the power to forgive sins in his name. It was the greatest head on attack against Satan, sin, and death that the world has ever seen, or ever will see … empowered by the grace of Jesus Christ’s atoning sacrifice … and the Church continues to fight that battle, in the world today. As a result, through the sacrament of reconciliation, Catholics enjoy absolute forgiveness for all their sins, right here and right now, virtually without exception, while everyone else will have to wait until Judgment Day to find out for sure if God has truly forgiven them. Catholics also appreciate the sacrament of reconciliation as a primary source of God’s superabundant grace … grace that is typically lost through sin. Non-Catholics … even if they might be forgiven of their sins … have no particularly effective, specific way of replenishing the grace that was lost through sin … something which could leave them at a serious spiritual disadvantage. It was Jesus who authorized those who could do it to remain celibate. Jesus was celibate, as well … something which certainly was not the “norm” when he walked the earth. Many of the apostles were celibate, and others even gave up their marriages in order to better accomplish God’s work of evangelizing the world.